Truman has again been acknowledged by the Peace Corps as one of the top universities in the nation for producing Peace Corps volunteers. With 22 alumni currently serving in the Peace Corps, Truman came in at No. 21 on that organization’s list of medium-sized schools producing volunteers. This marks the second time in three years Truman has been included in the Peace Corps’ top twenty-five rankings. Since the Peace Corps was founded in 1961, a total of 174 Truman alumni have served as volunteers. For anyone interested in working with the Peace Corps, Betsy Blum, who served in Guinea, will be visiting Truman to host a public Peace Corps Information Session at 6 p.m. Feb. 11 in the Student Union Building Alumni Room. The Peace Corps ranks its top volunteer-producing schools annually according to the size of the student body. The complete list of rankings can be found online at http://multimedia.peacecorps.gov/multimedia/pdf/stats/schools2010.pdf. As the Peace Corps approaches its 50th anniversary, its service legacy continues to promote peace and friendship around the world with 7,671 volunteers serving in 76 host countries. Peace Corps Volunteers must be U.S. citizens and at least 18 years of age. To learn more about the Peace Corps, go online to http://www.peacecorps.gov. Dr. Troy D. Paino, Provost and Vice President for Academic Affairs, has been selected to serve as president of Truman State University. 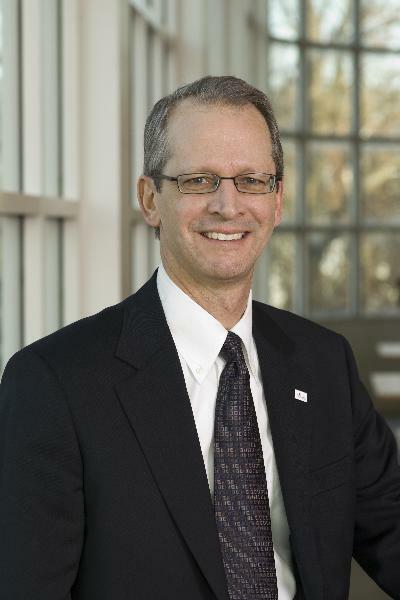 The announcement was made Feb. 8 by Matthew W. Potter, Truman State University Board of Governors chair. Paino will officially begin his duties as president May 10, 2010. Paino has served as provost since 2008. In this leadership position he has served as a senior member of the president’s cabinet and as the chief academic officer for the University. Additionally, Paino helped lead both the implementation of a comprehensive strategic plan to upgrade technology on campus and the establishment of the Truman Institute to develop programming aimed at generating revenue and building mutually beneficial relationships with business and community organizations. He also worked closely with faculty to establish new tenure and promotion policies and procedures and the Office of Student Research. Prior to coming to Kirksville, Paino served as the dean of the college of liberal arts at Winona State University (Minn.) from 2004 to 2008. As the dean, Paino helped develop important University partnerships with the Great River Shakespeare Festival and Frozen River Film Festival. He also helped establish the Center for Engaged Research, Teaching & Scholarship, the American Democracy Project, and the Consortium for Liberal Arts & Sciences Promotion. He began his career at Winona State University in 1997 as an assistant professor of history. While on the faculty, he co-founded and directed the Law & Society Program from 1999 to 2004. He was promoted to the rank of professor in 2007. Paino received his juris doctorate from Indiana University School of Law. Prior to arriving at Winona, he worked as a trial lawyer in Indianapolis. In addition to his academic and legal experience, Paino has served on several corporate boards and was a partner in a land development business. Paino also has a Ph.D. and a Master of Arts degree in American Studies from Michigan State University and a Bachelor of Arts degree in history and philosophy from Evangel University in Springfield, Mo. His teaching and scholarly interests include 20th-century cultural and social history and American legal history. He has written journal articles, encyclopedia entries and book reviews on the history of American sport. His book, “The Social History of the United States: 1960s,” was published in 2008. Paino and his wife Kelly have two daughters, Sophia, age 12, and Chloe, age 10. Paino currently serves on the Missouri Enterprise & Innovation Center board and will be inducted into Kirksville’s Rotary club March 3. He has volunteered with the Big Brothers Big Sisters of Indianapolis and several arts and civic organizations in Minnesota. In becoming the 16th president in Truman’s history, Paino succeeds retiring Truman president Dr. Darrell W. Krueger. For the fourth year in a row, the Missouri Court of Appeals, Western District, will convene court at Truman. At 9 a.m. Feb. 17, a three-judge panel consisting of Chief Judge Thomas H. Newton, Judge Joseph M. Ellis and Judge Cynthia L. Martin, will hear oral arguments in five cases in the Student Union Building Activities Room. The cases are appeals from previously held trials in area circuit courts. The judges will hear attorneys argue whether the trials had errors, which should cause them to be retried, or the trial court’s judgment reversed. The judges will read written arguments before the court session and may interrupt the attorneys’ arguments with questions. The three judges will take a break in between cases and remain after the session to discuss the court system and generally explain proceedings. This will be the fifth session of the Western District at Truman and the 17th time that the court has convened in Kirksville. It convenes regularly in Kansas City. Its jurisdiction is appeals from trial courts in 45 counties, which includes all of northwest Missouri and most of central Missouri. The Department of Music is hosting the 27th Annual Truman Piano Festival Feb. 19-20. Serving as the guest artist in a solo piano recital at 8 p.m. Feb. 19 in the Ophelia Parrish Performance Hall will be Dr. Jeffrey Brown from Western Illinois University. Brown earned a Masters of Music and Doctor of Musical Arts in Piano Performance at Eastman School of Music. He also holds the Performer’s Certificate from Eastman. The recital will feature works by Bach/Busoni, Beethoven, Rachmaninoff and Brahms. At 10 a.m. and 1 p.m. Feb. 20, Brown will present master classes in the Ophelia Parrish Performance Hall. Four Truman piano majors will perform in these classes. The recital and master classes are open to the public and are free of charge. For more information about the Truman Piano Festival, contact David McKamie, professor of music, at 785.4405. Truman students Jaime Kelley (left) and Pat Zhang (right) help stock a food pantry at Victim Support Services during the MLK Challenge Jan. 18. One hundred students used the Martin Luther King Jr. Day break to donate “a day of service to remember a life of service.” As part of the MLK Challenge, students volunteered at one of 10 project sites, including the Adair County Humane Society, Hospice of Northeast Missouri, Victim Support Services and Kirksville Part-Day Head Start among others. The day concluded with a Reflection Dinner on campus. The Multicultural Affairs Center, Student Senate, Missouri Campus Compact and the Center for Teaching and Learning all sponsored the MLK Challenge. Truman students now have the opportunity to study abroad this summer in China at Shanghai University, May 20-June 29. Prior knowledge of the Chinese language is not a requirement, as language courses for all levels will be offered, in addition to courses on literature, history, the economy and calligraphy. Students can earn six to seven Truman credit hours through the program. During the trip, students will tour, among other attractions, the Chinese capitol city of Beijing, the Great Wall, the Forbidden City, the Summer Palace, the National Opera House, Tiananmen Square, the Chairman Mao Museum, and sites of the 2008 Olympic Games and the World Expo, which starts in May. Participating students will gain knowledge of the language and culture in addition to experiencing personal contact with Shanghai University students and the Chinese people. The cost for the four-week program is approximately $4,248 plus Truman tuition for six or seven credit hours. The price includes international transportation, insurance, Shanghai University tuition, textbooks and an on-campus dorm room. Transportation and lodging costs are also covered. Students must have at least a 2.50 grade point average to participate. Contact Julie Minn at jminn@truman.edu for more information. Darl Davis, director of the Regional Professional Development Center, (left) and Truman student Peter Bracha (right), hand Kits 4 Kids boxes to Convoy of Hope driver David Adams (center). Each kit includes a bottle of shampoo, a toothbrush, toothpaste, anti-bacterial soap, a comb and a hand towel. The Kits 4 Kids are being sent to Haitian children in the aftermath of the earthquake. The statewide goal, set forth by the Missouri Department of Education, was to assemble 100,000 kits in 10 days. More than 1,350 Kits 4 Kids were collected from schools in the area. Kits 4 Kids is sponsored by the Missouri Department of Education and Convoy of Hope, a nonprofit organization. Truman State University Foundation scholarship applications for Truman students in the 2010-2011 academic year are now available. Applications are online and are due by midnight March 5. To learn more, go to http://www.truman.edu and click on Student Life/Money/Foundation Scholarships or go to https://secure.truman.edu/isupport-s/. The Hispanic Scholarship Fund (HSF), the nation’s leading organization supporting Hispanic higher education, is currently taking applications for the 2010 scholarship. The scholarship is available to permanent residents of the Greater Kansas City Metropolitan area defined as Clay, Jackson, Wyandotte, and Johnson counties. For more information, visit http://www.hispanicdevelopmentfund.org or call 816.701.8308. A limited number of applications are also available in the Financial Aid Office in McClain Hall 103. Applications are due March 1, 2010. The Missouri Insurance Education Foundation will award scholarships to deserving students attending Missouri colleges or universities in a program that could lead to positions in the insurance industry in Missouri. The $2,500 C. Lawrence Leggett Scholarship is awarded to a junior or senior Missouri resident majoring in insurance or a related area of study in a Missouri college or university. In addition to the Leggett Scholarship, the foundation has made an additional scholarship available in the amount of $2,000. Application forms are available on their website at http://www.mief.org and due March 31. An upgrade to the Banner system is scheduled to begin at 6 p.m. March 5. It is anticipated that the upgrade will be completed by the end of the day March 8. Banner and all Banner integrated services will be down during the upgrade, including all Banner links on TruView and mybill.truman.edu. All users, including students, faculty and staff, will not have access to Banner during the upgrade period. Beta Alpha Psi is sponsoring income tax assistance through the Voluntary Income Tax Assistance (VITA) program. IRS certified volunteers will be available during the times listed below to help students and members of the community file their income tax returns for FREE. Participants need to bring Social Security cards for all involved, wage and earning statements, copies of last year’s return (if available), bank routing numbers/direct deposit account numbers, total paid for day care provider and the day care provider’s tax identifying number and if filling jointly, both spouses must be present. For more information and a list of items to bring, visit http://bap.truman.edu or call 785.4268. Hillel, the Student Affairs Office and Alpha Phi Omega will host a FREE dinner and a short presentation by an expert from the AntiDefamtion League, followed by a discussion about Internet humor and when humor becomes hate. A limited number of tickets are available. Tickets are available in the CSI Office, Student Union Building. Tickets are free with a Truman student ID. General admission tickets will also be available for purchase online at http://sab.truman.edu/store. E-mail wrc@truman.edu for more information. by 5 p.m. Feb. 12. The 2010 Student Research Conference is April 13. For more information, contact the Office of Student Research at osr@truman.edu or 785.4455. For more information, visit http://osr.truman.edu/truscholars/, e-mail osr@truman.edu or call 785. 4455. Truman’s Mathematical Biology Program is currently accepting student applications for Summer 2010. A $3,500 stipend plus room and board for the 10-week period are included. For more information, e-mail pjryan@truman.edu or stop by Violette Hall 2154. Application materials are available on the U drive at U\_MT Student File Area\mathbio\mathbio2010app.docx. Volunteers are needed to read speeches from historic civil rights authors. Speeches can be selected from an established list or submitted for approval prior to the event. All speeches are to be from historic civil rights authors. E-mail ecase@truman.edu for more information. Due midnight March 5. Go to https://secure.truman.edu/isupport-s/ for a list of scholarships and to apply. A total of 45 grants will be awarded nationwide, each worth $1,000. Applicants need not be members of Phi Kappa Phi, can be any major, with at least a 3.5 GPA, at least 30 credit hours, but no more than 90 credit hours. Eligible Study Abroad Programs must begin between May 1, 2010 and June 31, 2011 Applications are due Feb. 24, 2010. Visit http://phikappaphi.org or e-mail studyabroad@phikappaphi.org for more information. Cost: Free with registration or $4 at the door. At an Evening with Expo Experts you will receive lots of info on attending companies, how to approach an employer, what to say in an interview, how to polish your résumé and more. Also enjoy great food and activities like tie tying, professional makeup, and samples of professional dress. RSVP on your online Expo registration form for this delicious and FREE brunch the morning before Career Expo. Most employers will be at the brunch and ready to speak with you about their company or organization. Register for events at http://pdi.truman.edu and http://career.truman.edu. Dress professionally in a matching suit. Research employers and ask informed questions. Prepare a résumé and have it reviewed at the Career Center. Stand out by practicing your introduction. Ask recruiters for business cards. Write thank you notes to each employer. All students are encouraged to file the 2010-2011 FAFSA located at http://www.fafsa.gov. It is important to apply before April 1 to be considered for all available funding. Questions may be directed to the Financial Aid Office, McClain Hall 103, 785.4130. Test your knowledge of historical African-American figures, events and inventions. Listen as the real Freedom Writers speak about their experiences and struggles throughout high school and how they overcame adversity to become successful. The reception is open to all and includes special guest performances. Ailey II is an exceptional dance performance company that merges the spirit and energy of the country’s best young dance talent with the passion and creative vision of today’s most outstanding choreographers. Nominate student leaders for the month of February. Pick up nomination forms in the Center for Student Involvement in the Student Union Building or online at http://csi.truman.edu/gla/form.php. Nomination deadline is 5 p.m. Feb. 10. The Library Gallery is featuring an exhibit on several aspects of heart health including healthy relationships, exercise, nutrition, stress reduction, heart anatomy and physiology, smoking and the Winter Olympics 2010-U.S. Hopefuls. For more information, contact Stacy Tucker-Potter in the Office of Advancement at 785.4167 or stuckerpotter@truman.edu. Help Truman boost international student recruitment by making a YouTube video that promotes the University to potential international students. All videos must be submitted to iso01@truman.edu by Feb. 26. E-mail Wilson Zhang at zz8224@truman.edu for a list of rules and guidelines or with questions. Including performances by Copacetic, Illusions Danz Team, Franklin Street Singers and the University Swingers. There will be free traditional Mardi Gras and Cajun cuisine for students as well as Mardi Gras trivia. Taner Edis, associate professor of physics, published “Is The Universe Rational?” in Free Inquiry, 30:2 27-29 (2010). Ronald A. Knight, professor emeritus of mathematics, had his paper, “Prolongational concepts for generalized flows,” accepted for publication in Topology Proceedings. The paper is the third in a series of papers developing the notion of generalized dynamical systems as defined in Knight’s paper “Initially deformed flows” which appeared in Volume 32 of Topology Proceddings in 2008. Faculty and staff are invited to a Microsoft Access 2007 Presentation from 9 a.m.-3 p.m. Feb. 10 at the Kirksville TCRC, 315 S. Franklin. This one-day course teaches the basic functions and features of Access; how to design and create databases; how to work with tables, fields and records; and how to sort and filter data and create queries, forms and reports. This course is offered to faculty and staff for a reduced rate of $52 by the TCRC. For more information, call 785.2530 or e-mail kvtcrc@missouri.edu. The Weekly Lunch Series continues at 12:30 p.m. Feb. 10 in the Student Union Building Spanish Room with “Outcomes Based Local Assessment: Quantitative and Scientific Reasoning” by Karen Smith, associate professor of psychology, Phil Ryan, associate professor of mathematics, Glenn Wehner, professor of animal science, and Ian Lindevald, associate professor of physics. The group participated in a National Science Foundation grant and will discuss their findings and how their experiences might apply to assessments of other Truman learning outcomes. The Spanish Club is hosting a presentation about Argentina at 7 p.m. Feb. 10 in Baldwin Hall 251. Katie Tolle, a third-year Spanish and English major, will present on her experiences studying abroad in Argentina in Fall 2009. The Career Center is sponsoring “Careers in Government,” a program for students interested in pursuing careers in government at 12 p.m. Feb. 11 at the Kirksville TCRC, 315 S. Franklin. Panelists are all Truman graduates representing various government agencies. A Peace Corps Presentation will take place at 6 p.m. Feb. 11 in the Student Union Building Alumni Room. Those interested in opportunities with the Peace Corps can stop by. For more information, visit http://career.truman.edu. The Pershing Society and University Swingers are hosting a three-day tango workshop. From 4-8 p.m. Feb. 11 is the Mate Mixer in the Student Union Building Spanish Room. Tango classes will be taking place from 4:30-8 p.m. Feb. 12 in Pershing Dance Studio. Classes continue from 10 a.m.-5:30 p.m. Feb. 13 in Pershing Dance Studio and the workshop wraps up with a dance from 8-11 p.m. Feb. 13 in Kirk Gym. Visit http://www.facebook.com/event.php?eid=281334092522&ref=mf for more information. The next Safe Zone training for faculty and staff will take place at 11:30 a.m. Feb. 12 in the Student Union Building Conference Room 3000. Safe Zone trained members provide support, information and resources to gay, lesbian, bisexual and transgendered students, and most importantly create a safe space on campus. For more information, e-mail hamilton@truman.edu. The Freedom Writers Series begins with film showings at 6 p.m. in Kirk Gym and 9 p.m. in the Student Union Building HUB on Feb. 13. At 7 p.m. Feb. 15 in Baldwin Auditorium, two of the original Freedom Writer students will present. To conclude the series, there will be a “Netiquette” dinner and discussion at 5:30 p.m. Feb. 16 in the Student Union Building Georgian Rooms. All events are free. Events are sponsored by Residence Life, New Students Program, Multicultural Affairs Center, Regional Professional Development Center, Center for Teaching and Learning, Student Senate, Center for Student Involvement, National Education Association and Student Affairs. The Quincy Symphony Orchestra will present “From the Heart” at 3 p.m. Feb. 14 at Quincy Junior High School Morrison Theatre. Tickets are free for faculty, staff and students with a University ID. Visit http://www.qsoa.org for more information. Cardinal Key is hosting Spring Rush. Rush applications are due to the Cardinal Key mailbox in the Center for Student Involvement by Feb. 17. Rush Week is Feb. 21-28. For more information, e-mail cardinal_key@yahoo.com or visit http://cardinalkey.truman.edu. Bioethicist and Baptist pastor Dr. Terry Rosell will present a lecture on the sometimes unexpected tensions between organ donation and transplant and religious values systems in “What happens to Jesus if I donate my heart? A Narration of Religious-Cultural Influences on Organ Donation and Transplantation.” The talk will take place at 6:30 p.m. Feb. 17 in the Student Union Building Activities Room. Rosell is the Sister Rosemary Flanigan Chair at the Center for Practical Bioethics in Kansas City. Students In Free Enterprise (SIFE) will host an international business discussion at 6 p.m. Feb. 22 in the Student Union Building Georgian Room. Students will be served dinner and participate in round table discussions over topics such as doing business internationally. All majors are welcome. Register at http://pdi.truman.edu by Feb. 15. An information meeting for India Study Abroad will take place at 4 p.m. Feb. 23 in Violette Hall 1010 and Feb. 24 in Violette Hall 1146. For more information, e-mail ciea@truman.edu.